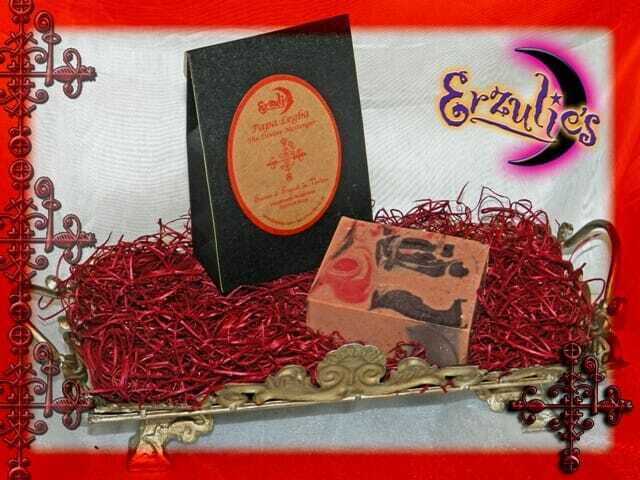 Home / Spiritual Perfumes, Soaps & Ritual Items / Goats Milk Spiritual Soaps / Papa Legba Vodou Spirit Soap ~ In-Store Exclusive! 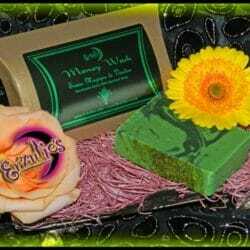 Goats Milk Soap and Organic Goats Milk Spiritual Soaps! 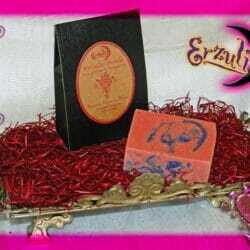 Vodou Spirit Goats Milk Soaps for Road Opening & Opportunity! This handmade goats milk Voodoo soap is beautifully scented with pure essential oils enhanced with gorgeous black, red and gold swirls to represent the most powerful Lwa of all: Papa Legba! He opens and closes all doors from this world to the spirit world. He can open roads of opportunity, turn the wheel of fortune in your favor and remove obstacles from your path! In-store exclusive only.